The field of research related to neurocritical care has grown significantly in recent years, and the clinical demands for current and dependable expertise has followed suit. It can be a challenge for the neurocritical practitioner to keep up with cutting-edge evidence-based research and best practices, especially regarding the role of pharmacotherapeutics. In the treatment of neurocritical disease states, pharmacotherapeutic strategies are increasingly relevant. 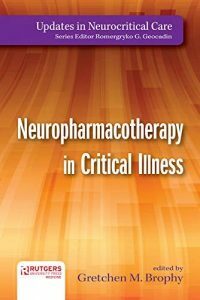 Neuropharmacotherapy in Critical Illness is the first book that provides this information in a high-yield format for the busy healthcare provider. 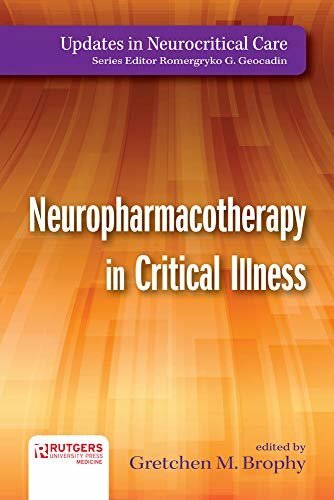 Edited and authored by leading experts in the field, this book provides practitioners with clinical pearls on neuropharmacology, dosing strategies, monitoring, adverse events, drug interactions, and evidence-based pharmacotherapy.